Additional information: Signed lower left. Signed and dated ‘le 4 Mai 1979’ on reverse. 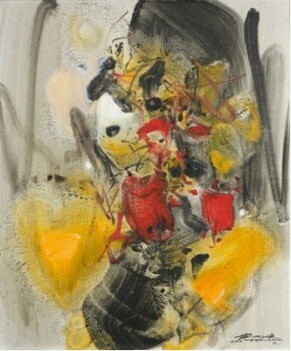 Born in Jiangsu Province, China, Chu grew up surrounded by art and studied painting at a very young age. Following Pan Tianshou’s dictum that artists could “develop the new from the old”, Chu readily mastered the techniques of traditional Chinese ink painting, drawing inspiration from the vivid, monumental landscapes of Song Dynasty painters such as Fan Kuan, Guo Xi and Li Tang. Graduating from the Hangzhou National Academy of Arts in 1941, Chu’s virtuoso skills led to his appointment as professor, first at the Central National University of Nanjing (1944-49), and subsequently at the National University of Taiwan. Arriving in Paris in 1955, Chu was promptly awarded the Silver Medal at the Salon of French Artists in 1956. Chu’s first solo exhibition in Paris took place in 1958. 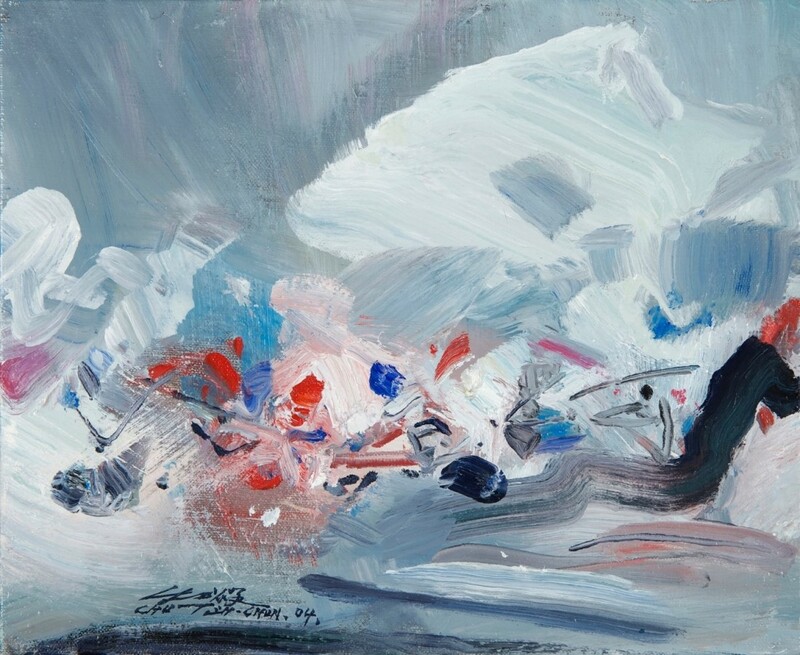 The 1960s marked a distinctive shift in the artist’s stylistic development; with his poetic brushwork and intense palette, Chu’s dreamlike landscapes during this time are harmonious while also filled with visual tension. His paintings, in a synthesis of classical Chinese philosophy and Western modernism, captivate the viewer with their infinite perspectives and dynamic colours. Chu’s first trip back to Taiwan in 1986 proved especially propitious – for the very first time he saw for himself the original works of the Song shanshui painters that he had long revered. Chu created almost exclusively large-scale paintings in the late 1980s, which became one of the most prolific periods in his career. Returning to his hometown for the first time in 1994, Chu responded by painting a series of spiritual landscapes, which he described as “roaming among his memories”. In 1997, Chu became the first Chinese artist to be elected to the Académie des Beaux-Arts in Paris. This accomplishment was only surpassed when he was granted the Chevalier de l’Ordre des Palmes Academiques and Chevalier de la Légion d’Honneur in 2001.